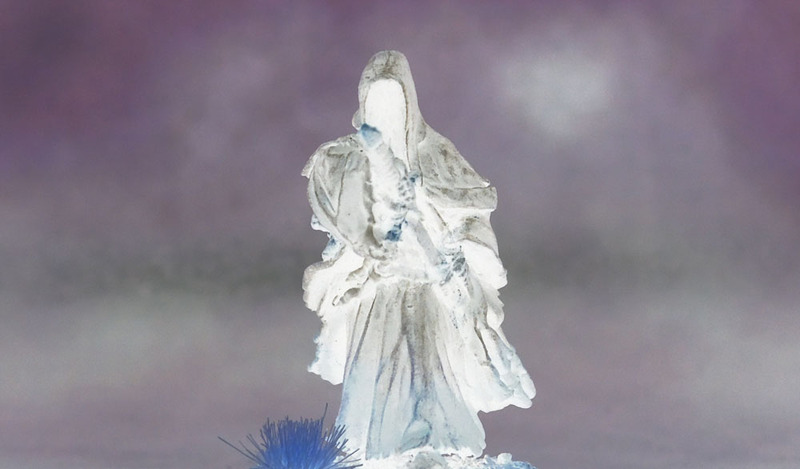 The Fellowship of the Ring Scenario Project Pt3: The Nine – Nazgûl on Foot completed (June-It ’18) | Azazel's Bitz Box. I know, I know. The last few posts have been more than a little repetitive now. The fact of the matter is that I’ve managed to complete the last four of the Nazgûl on Foot, so I’m posting up the Nine of them now. I’m attempting to also get the last two mounted Nazgûl done today. I need to finish the paint in the next couple of hours in order to be able to varnish them so that the varnish is (mostly) cured by tomorrow, so I can then photograph them for the blog and “final” photo of them. These models do at least provide the first newly-completed unit for The Fellowship of the Ring Scenario Project. They also count as a completed unit for this month’s June-It Unit challenge. Now I’ve got to go and try to finish those mounted ones, as well as 7 additional, unrelated figures that will give me two more completed units for the month. This entry was posted in Lord of the Rings, Mordor and tagged Lord of the Rings, LotR SBG, Nazgûl, Ringwraiths. Bookmark the permalink. I love these figures and the job you’ve done. So much charachter and yet not a face between them! Thank you – it’s really the sculpts here that do most of the work themselves. They’re really cool man. I’m tempted to add them to my wish list… but it’s soooooo bloody long already. They are some lovely models. The new set of 9 with all-unique sculpts is even better than the 4-dupe set I have up here. They look the part but I’ll admit, I thought that you had painted the minis in that inverted/negative paint scheme. I had a brief wow moment over here. I wish – sadly, it’s impossible to get it to look that way due to the natural shadows inside the “headless” cloaks – even if I were to paint them white, they’d still be shaded. I know. But people’s skill never ceases to surprise me. You’re right – there are probably some people out there who can pull it off! Angel? Duncan? TIM’s hit the nail on the head there! Excellent! So cool. Yet no man can destroy them, so it will be up to??? I’ll have to get Eowyn and a bunch of Hobbits painted up! By the way, I have one more unit done- for Junit, need to blog tomorrow! No problem. That’s one reason I always give about a week before the roundups. 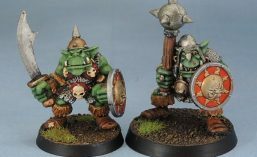 I finish stuff at the last minute myself – and have done again this June – so I’m still needing to finish photographing and then I need to post the last units myself. Moar Gandalph! Haha, I’m totally over Gandalph now. I’ve got so bloody many Gandalf models to paint, it’s unsane! I’m sure I’ll get to a bunch of them this year, as I was (generally) trying to paint up all of the variants at once in order to keep the clothing colours consistent. Oh, you can just keep re-posting the same pics. Half of us are so old that we will think it’s new again! That;s how the last week of Nazgûl has felt, to be quite honest. Now finally I can have a break from them!